3 years & up. Challenge patterning and problem-solving skills with this exciting set of gears, cranks, connectors, pillars, and interlocking plates! 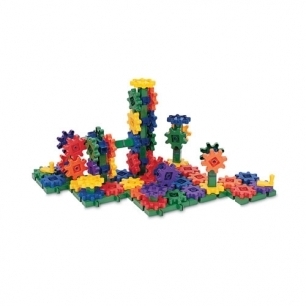 Includes over 80 pieces in one size for hundreds of 3-dimensional possibilities.